Prom Transport was started by James P. Prom back in August of 1996. The company name was Prom Welding & Transport because Jim decided to incorportate his welding abilities with his previous experience of hauling mobile homes. Jim was a jack of all trades and known for getting the job done. 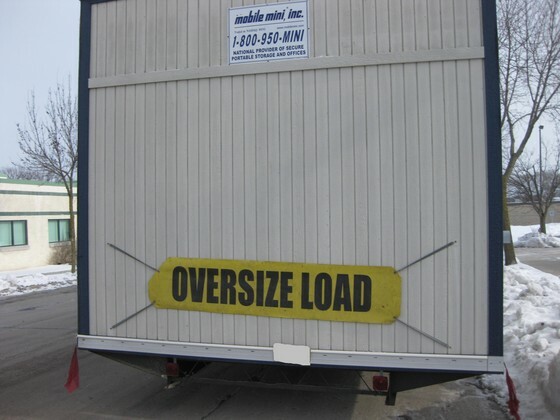 He started moving mobile offices and mobile homes for office rental companies and mobile home parks in the Wisconsin and Greater Chicago Area. Jim grew the company from one toter truck to four toter trucks that serviced the Midwest (Wisconsin, Illinois, Indiana, Iowa, Michigan and Minnesota). When Jim retired in 2004, the current owner, Joseph R. Braun, took over and established the business as Prom Transport Inc. Joe continues to run the business based upon the foundation that Jim had established. Prom Transport Inc. continues to service the Midwest and other areas that our customers request. We have added services like tilt bed/landoll transport, flat bed, and van trailer movements. Here at Prom Transport Inc. we value our customers' requests. We will do what ever it takes to meet your expectations! If for some reason we can't do it, we are willing to help you find a way to get it done.